I usually do a Marketing Tip of the Week on Wednesdays, but this week I have a special treat for you. In 2018, I managed my fifth consecutive year of the Asian Hall of Fame event, and one of our honorees was nationally-known writer and producer Kourtney Kang. Kourtney was a delight to work with in the months before the event as we planned the logistics of her trip. When she showed up on site, I was even more impressed with her. Kourtney is a powerful woman. Yes, she is powerful in her industry, with writing and producing credits including some of our most beloved works, such as HOW I MET YOUR MOTHER, FRESH OFF THE BOAT, and CRAZY RICH ASIANS. What I realized when I met her in person was that her power comes from within. Kourtney draws you in during conversations, and her acceptance speech captivated a room as if she was having a personal moment with each guest. To have success in the TV and film industry requires Kourtney to be creative and vulnerable as a writer while having the business savvy and toughness of a Hollywood producer. I believed that her experience would translate to lessons that would directly apply to small business owners, who often have to merge the passion for the work with the details of the business. As I read the answers of her Q&A, I saw how much overlap there truly was. If you haven’t had a chance to read Kourtney’s Q&A yet, read here! Kourtney’s responses gave me some food for thought when it comes to business, as I hope they will for you. There was one thing she talked about that struck me the most, and it directly applies to how we market and negotiate. As a woman who has heard some big yeses – for projects that we all know the name of – she undoubtedly has heard the word “no” her fair share. Kourtney is familiar with having to go into rooms and pitch her ideas; ideas that she feels connected to after the work she puts in to create them and flesh them out. As business owners, we have to pitch. We have to negotiate. There is no way around it. If someone is going to buy something from you or sign a contract with you, at some point there will be a moment when you have to put the offer out there. Sometimes the sale or the contract is quickly resolved. Sometimes we negotiate over longer periods of time. Personally, I started off as a weak negotiator and have slowly – very slowly – grown my skills. I have many times agonized over opportunities I lost because I felt like I just didn’t express myself correctly. We don’t need to fill that space. The moment we start to fill that space – space that someone else may be taking to collect their thoughts and evaluate – the first thing that can flood in is self-doubt. If left unchecked, that self-doubt will kill the momentum. Self-doubt can lead to self-sabotage if we aren’t careful. That need to add noise to silence may mean we are reaching for words that don’t add anything substantial to our position. It may mean we are finding words that subtract. People often need a moment to think. It is part of the process. We should let them take it, because we need to know what they truly think. Even if what comes next is an objection, an objection is part of the sales process. Overcoming that objection is what ultimately will lead to a happier customer. A customer with less risk of buyer’s remorse. Leaving the objection unaddressed is a set-up for someone to have reservations after the fact. If we want to be of service and create the opportunity for positive word of mouth, we need to let this process take its course. There is another point that Kourtney made that, for me, has been helpful in squashing self-doubt when it creeps in. Just as she mentions that pitching in Hollywood is a “volume business,” pitching anywhere is a volume business. If all of our eggs are in one basket or one lead, the pressure that puts on the conversation is outrageous. That pressure can make the silences unbearable. It can make it harder to be still when stillness is needed. When we remember that business, marketing, and sales is all about volume, it helps us get more comfortable with any one conversation. If there is a 1% conversion rate from a type of outreach, reaching 100 people will make it easier to let go of the leads that weren’t the right fit. If there is a 10% conversion rate, talking to 10 people helps the odds significantly. The less stress we feel, the less our leads will feel. If we are negotiating or pitching, getting to a place where we can feel truly at ease will allow us to hold power in the conversation instead of giving it away. 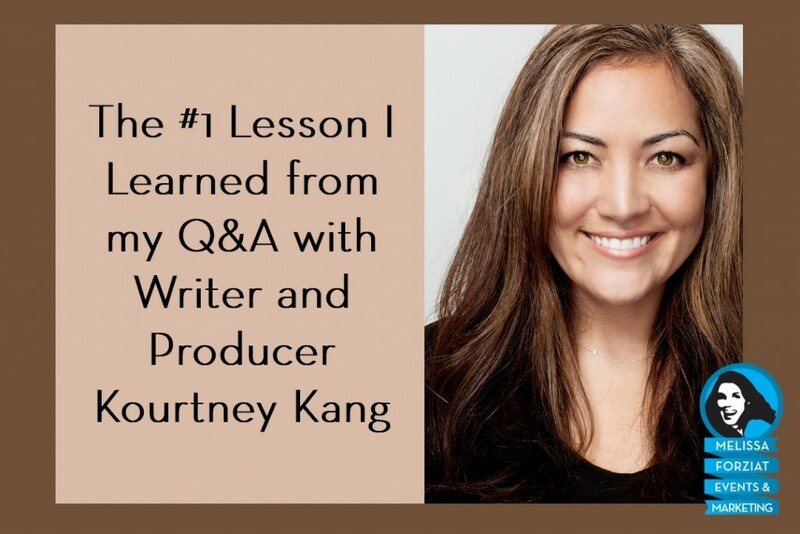 I hope you enjoy the Q&A with Kourtney and come away with some key takeaways of your own. And if you find the subject of negotiation as interesting – or as critical – as I do, read here for The Impact of Desperation on Your Negotiations.